Original painting dimensions 16x20 inches. Stretched fabric canvas on heavy cardboard panel. Scorpion Galaxy: Original painting dimensions 16x20 inches. Stretched fabric canvas on heavy cardboard panel. 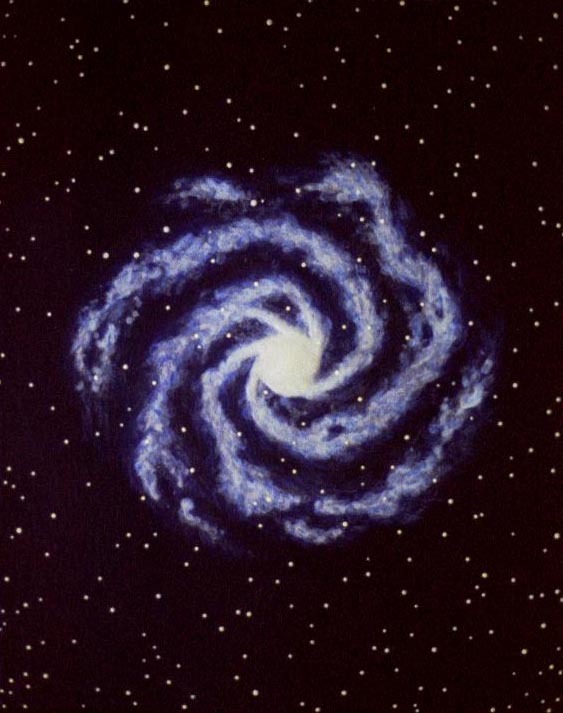 Acrylic paint – blue and yellow glow galaxy on black background. Phosphorescent (glow-in-the-dark) and fluorescent (UV light activated) pigments.